What happens when you lose your iPhone? You buy a new one. But with a brand-new phone comes a brand-new memory and all of a sudden you realize that you have lost that picture or the eBook you bought. Then again, you are a smart user and had backed up all your data on iCloud. Certainly, the question now arises, "how to retrieve photos from iCloud?" Data is there, backed up in your cloud space but it needs to be restored to your new device. Losing a phone is simple (and also heartbreaking) but recovering lost data is quite tricky. Why blame you for no reason? Maybe you are simply switching to the latest version of iPhone but the problem of how to recover photos from iCloud remains. So, if Apple lets you back your files up, it also has ways to help you retrieve them. Beside this, there are third party service providers, like dr.fone, which provides a much simpler way to achieve the same result. But first, find out what iPhone and iCloud’s designers did for you. As soon as you create an account and log in to your iCloud account, Apple will give you 5GB of storage space free initially. More space will be available on purchase. With this now available, you can back up your entire phone’s contents into Cloud. Assuming that you have already had a backup file uploaded to iCloud, you will need to upgrade your OS first. • Click on Software Update. If an update is available, follow the installation steps and update your device. If no updates are available, simply skip on to the next step. • Then on manage storage. This tab will show you a list of backup files along with their date and time. Take a note of the most recent one. The next step is vital, so it is advisable that you create a backup of your current phone’s files while you are still in iCloud. Yes, you have to erase the existing settings for your restoration to take effect. 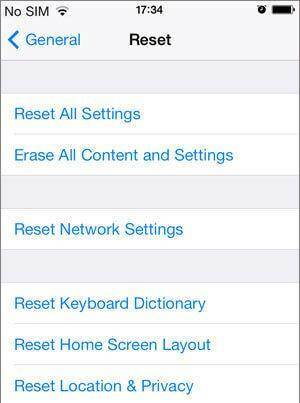 • Tap on Erase All Content and Settings. After your phone just severed all its previous ties, it’s now ready for restoration. 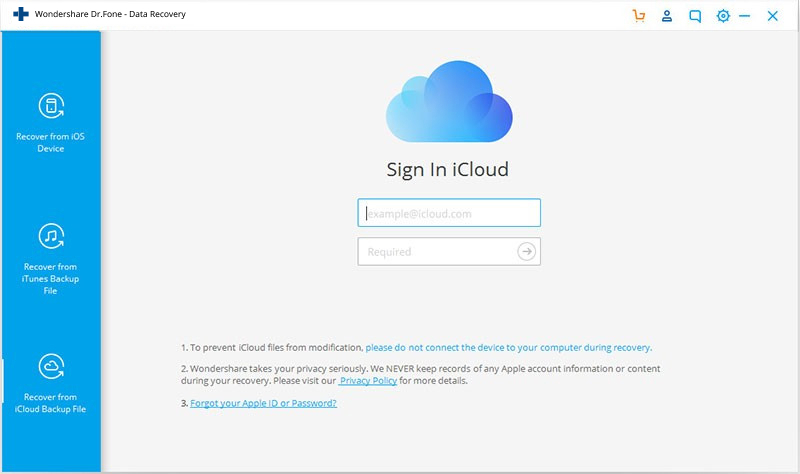 Sign into your iCloud account using the username and password. Click on the backup file you wish to restore to and give your device few minutes. The iPhone will reboot, and you will have your contents back. So, what did you just do? You just went through 4 hectic steps to retrieve photos from iCloud. If the phone is new, then restoring does not pose that much of a threat. But if you are trying to restore something on your already functioning phone, you may have to sacrifice your existing content for just a few pictures. Of course, you can back up again, and then you will have to follow the above steps all over again. Too much work indeed! That is why you need services of dr.fone - Recover (iOS), the third-party service provider who does all of these in a much easier fashion. In simpler words, if you want to only recover photos from iCloud, dr.fone allows you to do it without total restoration. dr.fone - Recover (iOS) is multi-platform data recovery software developed by Wondershare. It has compatible versions for both Mac and Windows OS and performs the recovery task in a few simple steps. Both iTunes and iCloud recovery can be achieved by using this software. 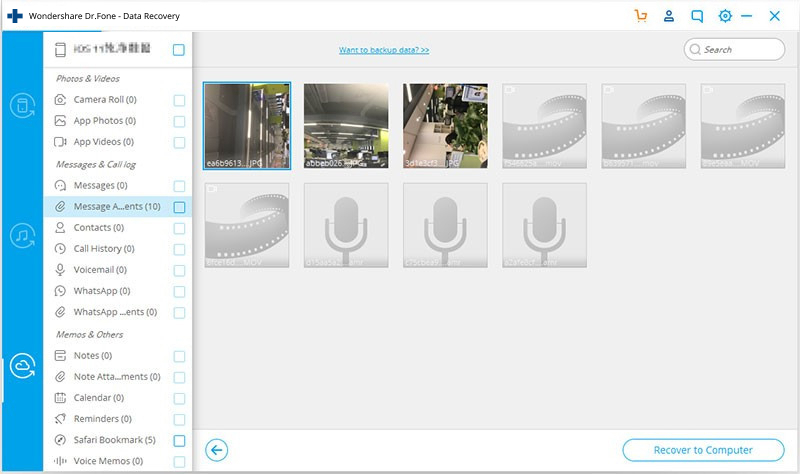 Recover Photos from iCloud safely, easily & flexibly. Safe and simple to use. dr.fone will never remember your iCloud password. Export from iCloud directly to desktop along with printing features. 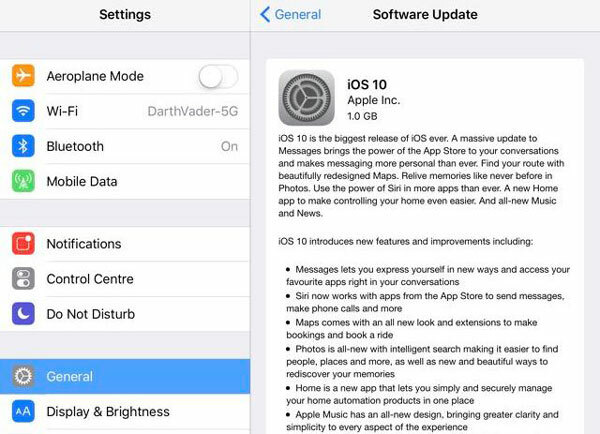 Compatibility with iPhone 8 version with iOS 11 ensured. Flexible to use as it’s compatible with all latest versions of Windows and Mac. How to retrieve photos from iCloud using dr.fone? • Recovering directly from iOS device. • Recovery from iCloud back. In that given order, along with "More Tools" option. Currently focussing on retrieving your photos back from iCloud only, click on "Recover from iCloud Backup Files." Other two options can also be used, though. A login page will then open asking you to enter your iCloud account details. This process is completely safe, and password is stored nowhere. A list of backup files stored in your account will then appear. Choose the file from which you want to retrieve your photos from and click on the download button. This will open a new tab. Click the "Download" button on the program to download the iCloud backup file for the pictures you need. After a few minutes, a list of photos in your two selected folders will open. You can scan through the pictures and choose the ones you want to restore. 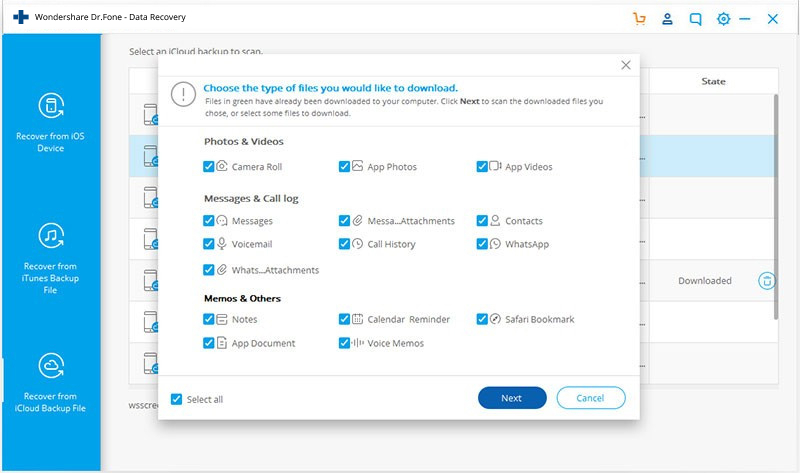 After selection, click on the "Recover to Computer" button on the bottom right corner. This will ask for permission for the location of download. After selection hit the save button. What did you achieve with dr.fone? 1. First, you just saved yourself from going through the whole lot of complexities involved with the Apple way. 2. Next, you retrieved only your pictures back without having to restore your entire phone’s status. 3. Third, you did not have to erase any existing data for restoring the previous content. 4. Last, it's way less hectic and time-consuming than the Apple’s or any other method. 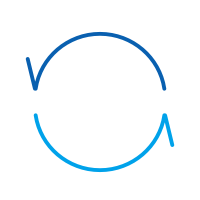 The selective recovery feature comes in handy when your backup files’ storage requirement is more than your device’s space availability. You can opt to download only those data which hold relevance now. Undoubtedly, dr.fone provides a much more dynamic and flexible method to retrieve photos from iCloud. If iCloud is your storage room, dr.fone is the key to that door. A free trial version is now available on their official website along with the premium option. A few clicks are all you need to get all the data back. Would you like to know how to backup iPhone to iCloud? This extensive guide with detailed steps will help you learn the process to back up iPhone to iCloud. Do you want to restore your device from an iCloud backup without having to reset it? Here's how to do it. If you are looking to backup contacts to iCloud and iCloud alternatives, then you are in the right place. Read all that you need to know about backing up iPhone contacts to iCloud in this article. Read this post to learn how to take iCloud WhatsApp backup and restore it to your device. A tutorial is also included to download WhatsApp backup from iCloud. want to access iCloud backup file? want to see what is on your iCloud? If you have the same questions in mind, check out the details in this article. This article shows you a top list of free iCloud backup extrator software for both Windows and Mac. Check in to get the list now. 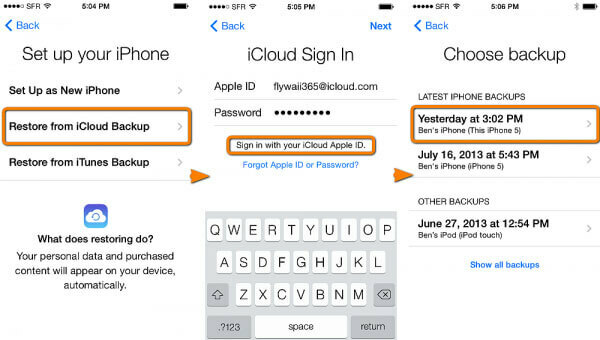 Is it possible to delete iCloud account without losing your data? This article will show you how to safely delete your iCloud account on iPad or iPhone.